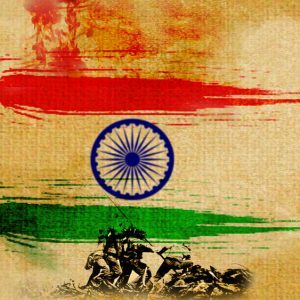 Independence Day celebrated every year on August 15th is like a common festival that all the people from India, irrespective of religion, caste, language or what God they believe in can and must celebrate. 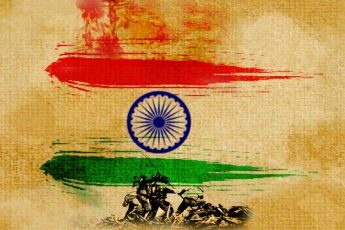 It’s the day that we got the freedom to be what we are – Proud Indians. 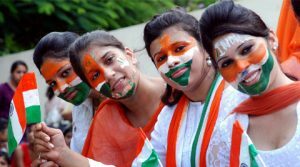 An Independence Day celebration is a lovely way to bring together everyone in office and encourage a feeling of patriotism coupled with a lot of fun. 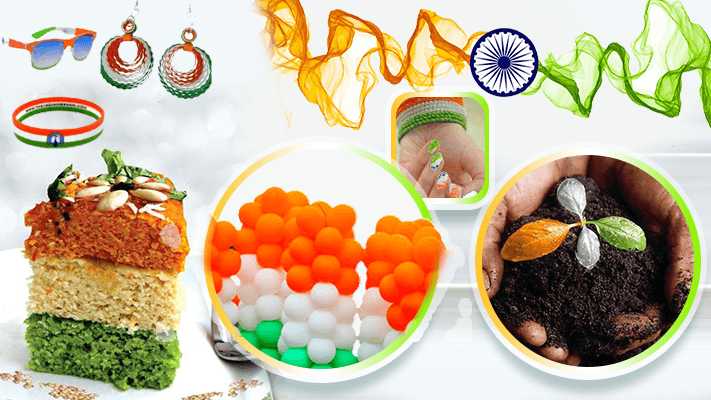 To keep the spirit of Independence Day alive, here are some ideas you can use for Independence Day celebration in office. Ask everyone to dress up in their traditional outfit and announce a prize for the best dressed person. 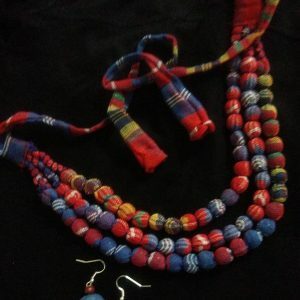 Welcome colour, tradition and jewellery and encourage everyone to accessorize appropriately. 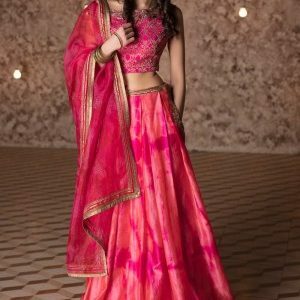 Imagine how alive the office would look in Nauvari sarees, Patiala salwars and veshtis! Select the top 10 best dressed men and women and set the stage for a fashion show. Let people come ahead and greet everyone in their traditional language and get the opportunity to showcase themselves to the entire office. Keep a team ready to cheer for them and keep the atmosphere light and fun! 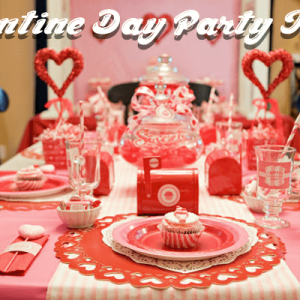 If you have an office canteen, plan a traditional food carnival which could be celebrated over a week. 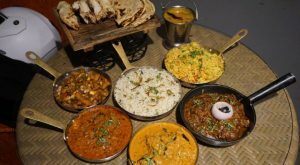 Assign a region to each day from Monday to Friday like Amritsari day, Andhra day, Hyderabadi day, Kerala thali day and Gujarati day. If you don’t have a canteen, then you can ask people to cook their traditional food and keep a competition. Give them scores on taste, authenticity, presentation and uniqueness. 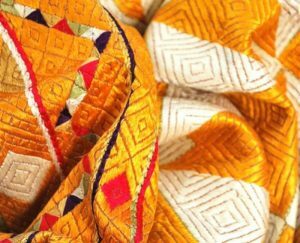 Ask people to make something using the traditional crafts of India like Phulkari, Bidri, Madhubani, gamcha, block printing, etc and create something. The object should be submitted for judging and the criteria for judging has to be innovativeness of the use of craft, creativity, skill, vision and effort. The products should be kept for display with the name and photo of the creator. Make a plan to go for a picnic to a national park or place of national importance like India gate or Gateway of India. Plan activities like tug-of-war, relay and other team building exercises. Get tricolour t-shirts made for everyone and spread the message of joy, peace and unity. Check T-Shirts Coupons from Top Brands. 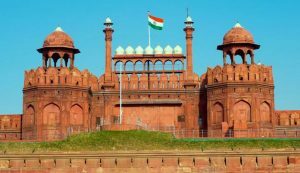 If you are in Delhi, then you can plan a visit to the Swatantrata Sangram Sanghralaya museum in Red Fort that provides an insightful glimpse of major phases of India’s struggle for freedom. Organise for a bus and ask people to sign up for it in advance. Plan some games to keep people entertained during the journey and plan a packed lunch with boxes you can distribute to everyone with some traditional Indian snacks like samosas, kachoris, dhoklas, etc. Kites signify freedom and flying kites is a great way to celebrate Independence Day with your office colleagues. Get the rooftop of your office building cleaned up and order tricolour kites or branded kites. 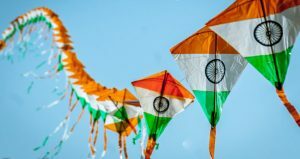 Have ample manja ready and encourage people to fly kites, mingle with each and celebrate freedom! 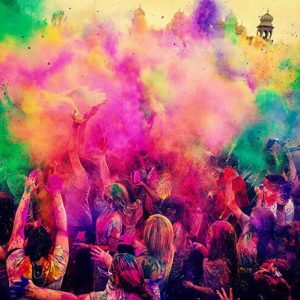 To encourage more and more people to participate in the activity keep some food stalls with light snacks and tea and coffee so even those who don’t know how to fly kites, join the celebration and encourage those who are flying kites. Plan a tree plantation drive around the area of your office, get the necessary permissions and sponsor a sapling for each employee. 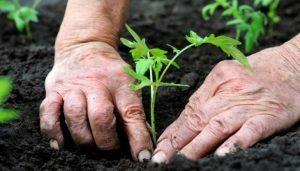 Have them plant the tree and encourage them to nurture the plants by visiting them often and watering them if needed. There are tons of 1-minute games you can play in office to add more fun to the Independence Day office celebration. It could be making maximum Gandhi topis with paper or whoever says the largest number of states or Indian rulers or national monuments or anything with an Independence Day theme. 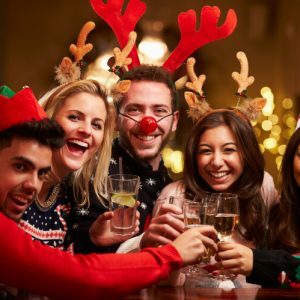 Quizzes are always a good idea and you can even make teams for this. The quiz could be about the leaders and the freedom fighters who fought for independence. A quick brush up of our history lessons combined with buzzers and tons of fun! Get South of India on one side and North of India on the other and let the war begin! 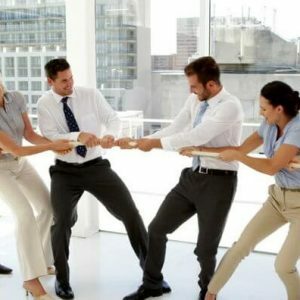 Tug of war is a great way to get everyone come together and it doesn’t really need much preparation other than organising for a big rope. Tambola is one game everyone in the office can participate in and play. 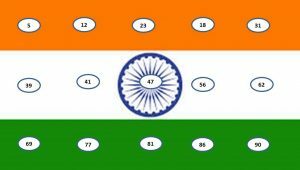 Print numbers randomly on a tiranga (you can get a template here) and get the ball rolling. You can call the lines green line, white line and saffron line, and the full house could be India. 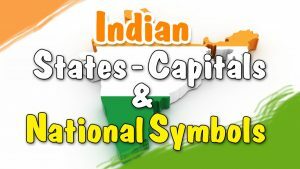 Instead of saying yes, as in traditional tambola, one can be asked to say Vande Materam or Satyamev Jayate to add to the Independence Day theme. 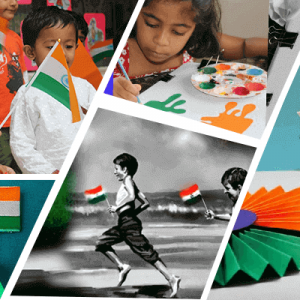 Place different things related to Independence like a tricolour flag, toy tanks, small guns, aeroplane model toy soldiers, postage stamps with flag, card posters of freedom fighters, etc around the office and make a list of all the things. Make teams and give the list to each team. Set the stopwatch to 1 minute and the team that comes back with maximum number of items wins! Being Independence Day, its best and most impactful to opt for a tricolour theme for the décor. However, instead of buying stuff off the shelf, you could considering using readily available material like dupattas, bangles, bottles, etc or opt for reusable materials for the décor. Make your own decorations with fresh flowers, and then decompose them. Paint glass walls/ partitions with acrylic paint and re use waste material to make the decorations stand out. 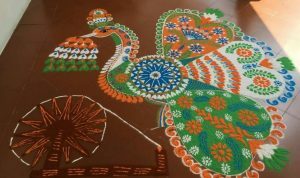 Make a wall for traditional arts & crafts and create a mural of different textiles crafts of India. Use kanjivaram sarees, phulkari dupattas, kalamkari fabric, and more and see it turning out to be the centre of attraction of the office. It will also make a fabulous photo op! 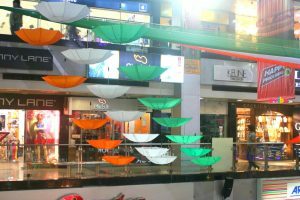 Since Independence Day usually is in the monsoon, you could fuse the two and create a décor that appeals to both the occasion and the weather. Get umbrellas in Saffron, White and Green colours and hang them from the ceiling, or pile them in a corner to make an attractive décor idea. These umbrellas can be donated to the needy after they serve their purpose. Ensure that in whatever activity you plan for Independence Day in your office, the spirit of the celebration is that of unity, happiness and peace.